Please send me more information on Palmetto Dunes Shelter Cove at, Hilton Head Island Thank you. Beautiful Palmetto Dunes is divided into two privately gated neighborhoods, the Leamington community and the Mariner's section. In total there are approximately 1012 single-family homes, in addition to the nearly 1470 oceanfront and golf-oriented villa complexes. Residents and visitors co-exist happily in Palmetto Dunes, sharing three miles of beaches, an 11-mile lagoon system, approximately six miles of bike paths, three golf courses, and 25 tennis courts. From original one or two-bedroom golf villas, to high-rise seaside condominiums, to high-end, harbourfront properties, Palmetto Dunes and Shelter Cove both offer multi-family living at its finest. In the single-family home arena, the choices are endless. Massive and memorable oceanfront retreats, Lowcountry style golf cottages and stucco and stone executive homes abound. Although there are architectural standards and guidelines and covenants and restrictions, home styles and designs are refreshingly diverse. There is no mandatory golf membership for homeowners and each different community has an annual Property Owners fee. Palmetto Dunes has been ranked the number one family resort in the United States and Canada by Travel & Leisure Family magazine. With 3 miles of Atlantic shoreline, the beach remains the community anchor. Second only to the ocean is golf and tennis. With three championship golf courses, each designed by a different legendary figure in the world of golf, The Arthur Hills Course, the Robert Trent Jones Course and the Fazio Course each provide golfers different backdrops and challenges. The Palmetto Dunes Tennis Center was named the third best tennis resort in the world. Activities and amenities at Palmetto Dunes will challenge even the most imaginative sports-minded individuals. Residential communities include the gated Mariner’s side and newer community of 300 single-family homes and 516 villas in Leamington. With its world-class, deepwater harbour, Shelter Cove, bordering Palmetto Dunes on the west, offers canoeing, deep-sea fishing, sailing, and numerous additional water sports and activities. The marina on Broad Creek is also accessible from the Atlantic, contains 170 boat slips. The Ship’s Store sells marine supplies, fishing tackle, and most anything else you need for a day on the water. Shopping, dining, entertainment, bike paths, and an unusual trail running under Hwy 278, provides harbourside owners protected access to the beach areas of Palmetto Dunes. There is also an expansive waterfront Disney Resort and multiple Marriott timeshare developments on the Shelter Cove Harbour property. The Robert Trent Jones Oceanfront Course was named the "South Carolina Course of the Year" in 2003. The Jones Oceanfront course plays 6,122 yards from the middle white tees and has a rating of 69.1. The Arthur Hills Course at Palmetto Dunes, designed by famed golf course architect Arthur Hills, was strategically built on a series of rolling dunes. It plays 6,122 yards from the middle white tees and has a rating of 70.6. This impressive layout was honored as the South Carolina Course of the Year for 2009. The George Fazio Course presents a challenge to any accomplished golfer -- a series of long par 4s guarded by bunkers and water hazards. Veteran golfers regard the Fazio course as Hilton Head Island's true championship course. It plays 6,239 yards from the middle white tees and has a rating of 70.2. The internationally-acclaimed Palmetto Dunes Tennis Center features 23 clay courts and two Nova ProBounce courts, eight of which are lighted for night play. The tennis center offers a full schedule of seasonal activities, instructional programs and daily round robin tournaments, as well as the ever-popular Monday Night Tennis Exhibition. Palmetto Dunes’ 11 miles of connecting lagoon systems are great for kayaking and guided tours, which are offered on a complementary basis by the community’s naturalist. Nature loves, bikers and runners also have miles of scenic, tranquil trails available. Shelter Cove Marina is located just off the Intracoastal Waterway, overlooking the wide reaches of Broad Creek. The picturesque marina features Hilton Head Island's largest deep-water yacht basin: a 15.5-acre marina with 170 boat slips for boats up to 135 feet in length. Every conceivable water sport may be enjoyed here, from deep-sea and in-shore fishing charters to sport crabbing, sail and power boat rentals, sightseeing/nature excursions and dinner cruises. Shelter Cove Harbour offers year-round waterfront dining, shopping and entertainment, plus spectacular views of Broad Creek. This laid-back Mediterranean-style village combines the Island's best shops, restaurants and waterfront activities in one dazzling location. Shelter Cove Harbour is also the home of a towering 12-foot bronze statue of Neptune, which doubles as a large-than-life sundial. When the trident’s shadow falls across the 26-foot wide base, the numbers indicate the precise time. Hailed as the world’s largest figurative sundial, the statue was originally cast at a foundry in Princeton, New Jersey and shipped by truck to Hilton Head Island in 1983. Like most of the Island in its early days, Palmetto Dunes Plantation was once primarily used as hunting land. 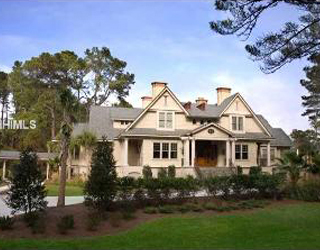 The first owner of this 1,900 acre oceanfront strand was the Hilton Head Agricultural Company. It was not until the late 1970’s that Palmetto Dunes began to see true development. During the early 1960’s, Jim Self, Jr., President of Greenwood Mills, Inc., began his involvement on Hilton Head Island. One of Greenwood’s “claims to fame” was the construction of the first golf course on the Island; the Ocean Course at Sea Pines. In 1979, Greenwood Development Corporation purchased Palmetto Dunes, along with the land that would eventually become Palmetto Hall and Shelter Cove. From then on, Greenwood Development sought to create an ecologically friendly development, preserving the natural resources while enhancing the beauty of the land. How many active real estate properties are currently listed for sale in Palmetto Dunes Shelter Cove , Hilton Head Island? Currently there are 189 listed for sale. Are there any foreclosures currently for sale in Palmetto Dunes Shelter Cove , Hilton Head Island? No, currently there are no active listings in Palmetto Dunes Shelter Cove with a foreclosure status. Are there any short sales currently for sale in Palmetto Dunes Shelter Cove, Hilton Head Island? No, currently there are no active listings in Palmetto Dunes Shelter Cove with a short sales status. What is the price range and average price for residential homes in Palmetto Dunes Shelter Cove ? The price range of the 57 listed homes for sale in Palmetto Dunes Shelter Cove is between 529K and 8,995K. The average price is 2,064K. Click here to view all residential home listings in Palmetto Dunes Shelter Cove. What is the price range and average price for residential condos and villas in Palmetto Dunes Shelter Cove ? The price range of the 120 listed condos and villas for sale in Palmetto Dunes Shelter Cove is between 235K and 1,850K. The average price is 597K. Click here to view all residential condos and villas listings in Palmetto Dunes Shelter Cove. What is the price range and average price for residential land and lots in Palmetto Dunes Shelter Cove ? 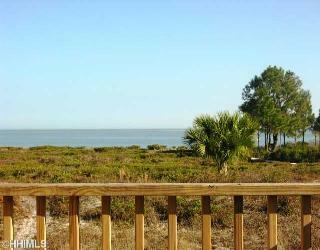 The price range of the 12 listed land and lots for sale in Palmetto Dunes Shelter Cove is between 249K and 3,450K. The average price is 739K. Click here to view all residential land and lots listings in Palmetto Dunes Shelter Cove. What amenities a buyer should expect to find in Palmetto Dunes Shelter Cove ? 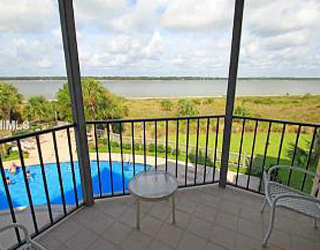 What kind of views a buyer should expect to find in Palmetto Dunes Shelter Cove ? Oceanfront Palmetto Dunes and its sister, deepwater development, Shelter Cove Harbour, are centrally located in what is popularly referred to as mid-Island, equal distance between the south end of the Island - including Coligny Circle and Sea Pines - and the north end, which includes many fine shopping, dining and recreational opportunities. Palmetto Dunes and Shelter Cove Harbour are situated directly across from one another. Hilton Head’s main thoroughfare, Hwy. 278, separates the two distinct communities. Complementary shuttles are available between the two areas, transporting residents and visitors from harbourfront to the beach. In addition to private and rental homes and condominiums, 2,000-acre Palmetto Dunes is also home to two, full-service, four-star hotels; the Omni Hilton Head Oceanfront Resort and the Hilton Head Marriott Resort & Spa. Three world-class golf courses, a nationally ranked tennis facility and multiple water sport and leisure activities are in abundance in Palmetto Dunes. Palmetto Dunes has two security gates operating 24 hours a day. Access into the private residential areas, as well as the resort areas, is strictly controlled. The 230-acre Mediterranean style Shelter Cove Harbour village offers a full array of shopping, dining, water sport activities, boat slips and condominiums above commercial space reminiscent of a European Village.